classes in churches and lodge halls because the local school board did not provide buildings for black students. Two men worked to change all that. 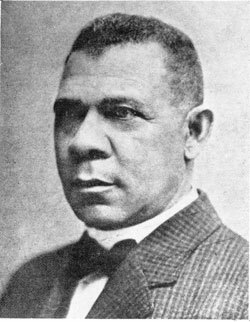 Booker T. Washington, founder of Tuskegee Institute and Julius Rosenwald, a Chicago philanthropist, instituted a program that eventually built 464 schools in Texas and almost 5,000 across the South. 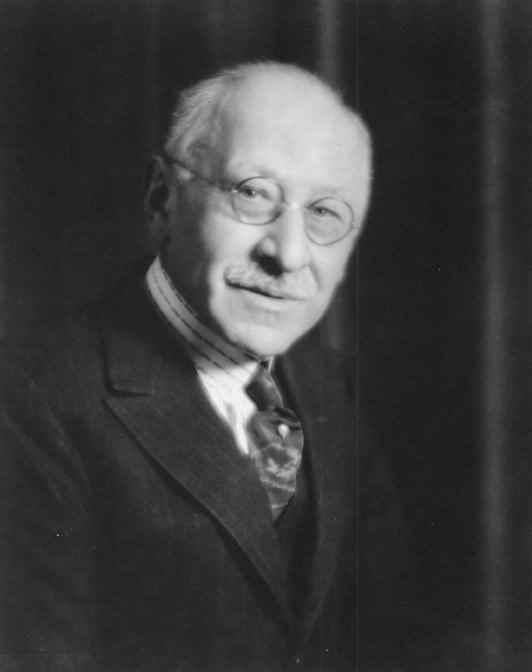 Julius Rosenwald, son of German-Jewish immigrants, became part owner in Sears, Roebuck & Company in 1895, and from 1908 until 1925 he served as the Sears president. As his wealth grew he increased his contributions, especially to educational and religious institutions. His friendship and work with other philanthropists such as Paul J. Sachs of Goldman Sachs, led to Rosenwald meeting Booker T. Washington. In 1911, Rosenwald wrote: “The horrors that are due to race prejudice come home to the Jew more forcefully than to others of the white race, on account of the centuries of persecution which we have suffered and still suffer.” After Rosenwald gave Tuskegee Institute $25,000 for a black teacher-training program in 1912, Booker T. Washington, the school’s founder, convinced Rosenwald to allow part of the money for a pilot program to build six schools in rural Alabama. Impressed with the results, two years later Rosenwald donated $30,000 for construction of 100 rural schools and then he gave additional money for building another 200 schools. 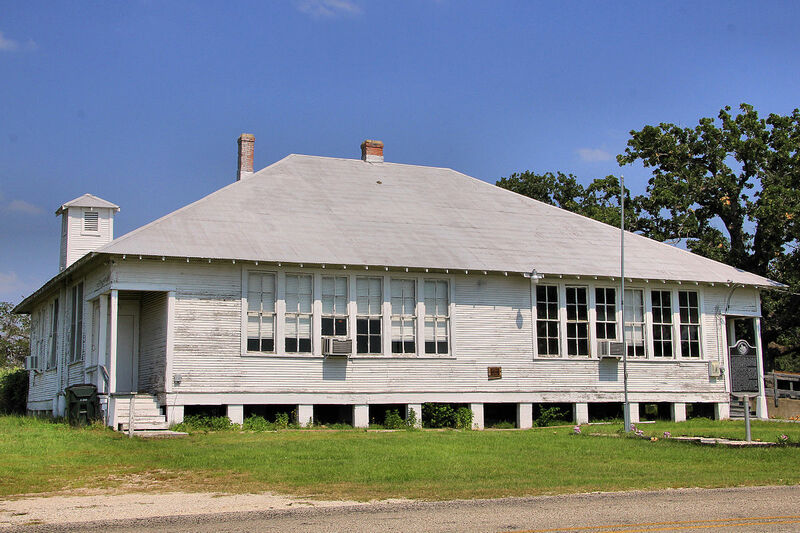 By 1920 the Julius Rosenwald Fund began a rural school building program for black children that continued for the next twelve years in fifteen states, including Texas. To qualify for the grants, which ranged from $500 for a one-teacher facility to $2,100 for a school large enough for ten teachers, the local black community had to raise matching money in the form of cash, in-kind donations of materials, and labor. Many of the schools were in freedmen communities where the residents were eager to offer education for their children. Black men often cut the lumber, hauled the material, and served as carpenters. The land and building had to be deeded to local authorities, and the property had to be maintained as part of the school district. The district was required to furnish new desks and blackboards for all classrooms as well as two hygienic privies for each building. Classes had to be held for more than five months of the year. Floor plans were specific as well. The designs, which offered the latest in modern construction for the time, included large windows on the east side of the building to allow for maximum natural lighting and small high windows on the west side to insure cross ventilation while keeping out the hot afternoon sun. Many white schools adopted the Rosenwald designs because they were free and were found to be so efficient. During the twelve-year program in Texas over 57,000 black students were served by almost 1,300 teachers. Black citizens contributed $392,000; white citizens gave $60,000; tax funds totaled $1.6 million; and the Rosenwald Fund contributed $420,000. Julius Rosenwald, who died in 1932, said it was easier to make a million dollars honestly than to give it away wisely. With that in mind and in light of changing social and economic conditions, he directed that all the Rosenwald Fund be spent within twenty-five years of his death. By 1948 when the fund ended, Rosenwald and his fund had given over $70 million to schools, colleges, museums, Jewish charities, and black institutions. You have probably looked many times at the wide variety of plans. Others who are interested in seeing the plans can Google Rosenwald Schools and find them. I should have included the site in my post. Thanks for your comments. Thank you, Myra, for bringing this to light again. i must admit i was upset the first time i read about segregated schools and i still am but a lot has been done since those Dark Ages days not only in your country but in many others; nevertheless, a long way to go in some places but for the sake of harmony and discretion i shan’t name names. I very much enjoyed and appreciated this. Yes, we’ve come a long way, but we still have much to change. Thanks for your continued comments. So glad some of these buildings are being repurposed. Great story, Myra. I hope more will be saved and repurposed for their communities. Thanks for your comments. Myra, I’m happy to see you write about the Rosenwald Schools. Julius Rosenwald’s philanthropy improved education opportunities for so many African-American children throughout the Southern United States. The old drawings are a delight to this architect’s eyes. I only wish that more of the schools had been preserved.